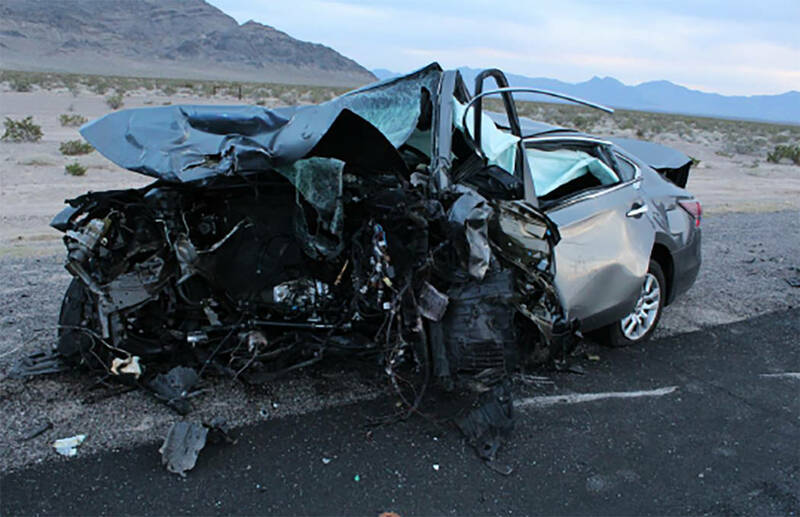 A Las Vegas woman has identified two of the five people who died in a fiery three-vehicle crash in Nye County Sunday afternoon as her father and stepmother. 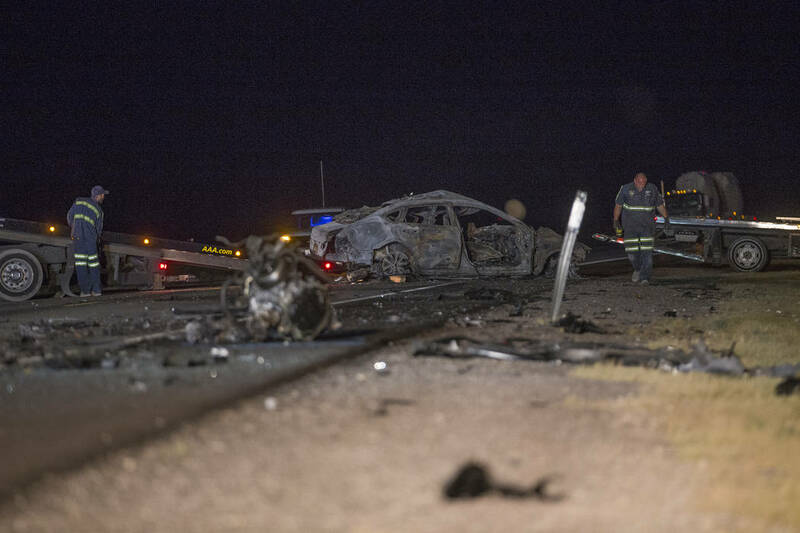 A Las Vegas woman has identified two of the five people who died in a fiery three-vehicle crash in Nye County as her father and stepmother. 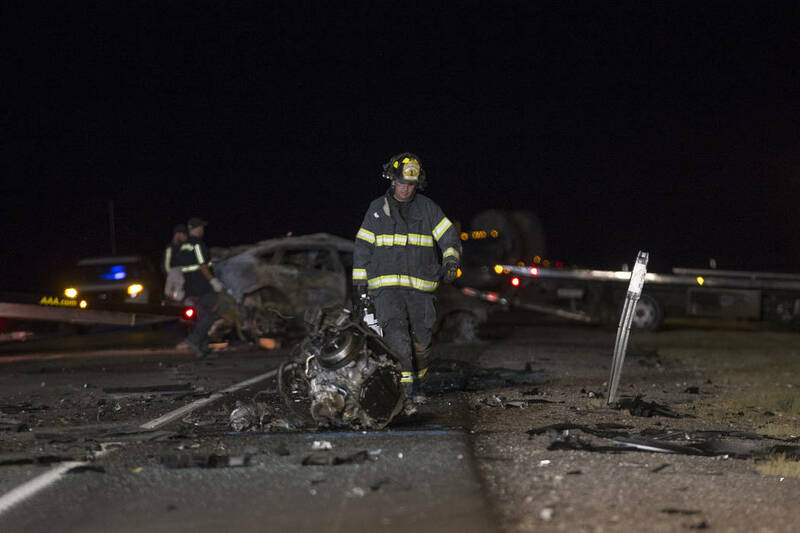 Although Nevada Highway Patrol and the Clark County coroner’s office on Thursday were unable to confirm the identities, Jami Hralima, 23, told the Las Review-Journal that her father and stepmother, both Las Vegas residents, were in a car that attempted to pass a pickup truck on U.S. Highway 95 near Amargosa Valley and collided with another car on May 20. Jami Hralima said her father, Maiga Hralima, 76, was the driver of the car. Maiga Hralima was driving to Reno with his wife, Lucille Hralima, 64, to pick up his car, which he had left in Reno to be repaired after an earlier crash, his daughter said. According to his daughter, Maiga Hralima was a retired Army veteran who served in the Vietnam War. He and Lucille Hralima, who lived together in Las Vegas, were married almost three years ago, she said. Hralima said she gave her 4-year-old son her father’s last name, instead of his father’s, because she wanted him to carry on Maiga Hralima’s legacy. 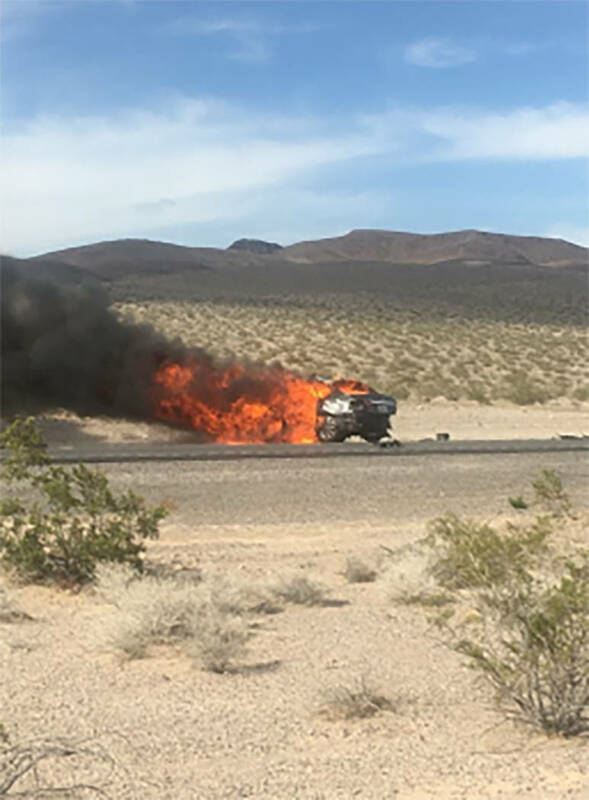 NHP wrote in a release Thursday that the pair riding in a rented Nissan Altima were trapped in the car, which became engulfed in flames upon impact. NHP Trooper Jason Buratczuk said Thursday that the bodies needed to be identified using DNA testing. 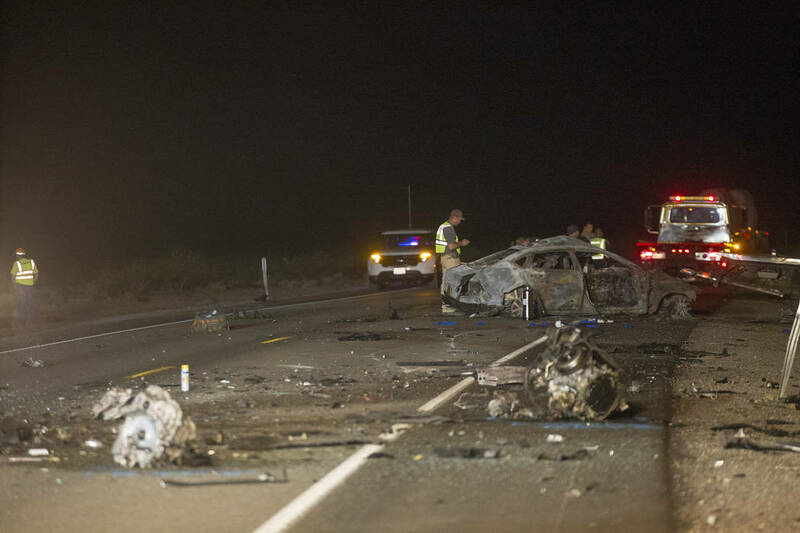 The coroner’s office has identified the other three people killed in the crash as Pahrump resident Dwight Sproul, 53, Arturo Otero, 78, and Juana E. Otero, 77, both of Chula Vista, California. It was unclear which vehicles the Oteros and Sproul were in. DNA results are still pending, the Nevada Highway Patrol said Thursday in a statement. 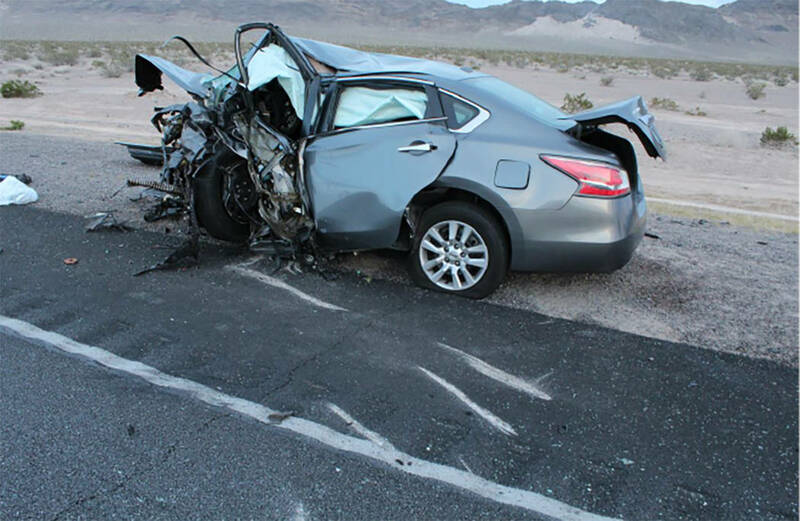 NHP identified the sole survivor of the crash as Wendy Lea Caskey, 52, of Beatty. After being thrown from the pickup, Caskey was flown to University Medical Center in critical condition. The crash marked the 27th fatal crash in NHP Southern Command’s jurisdiction this year. The five people killed Sunday brought the number of traffic-related deaths this year in the agency’s jurisdiction to 35. Contact Kimber Laux at klaux@reviewjournal.com or at 702-383-0283.